Jasper Stuyven was delighted to win Sunday's final stage of the BinckBank Tour. 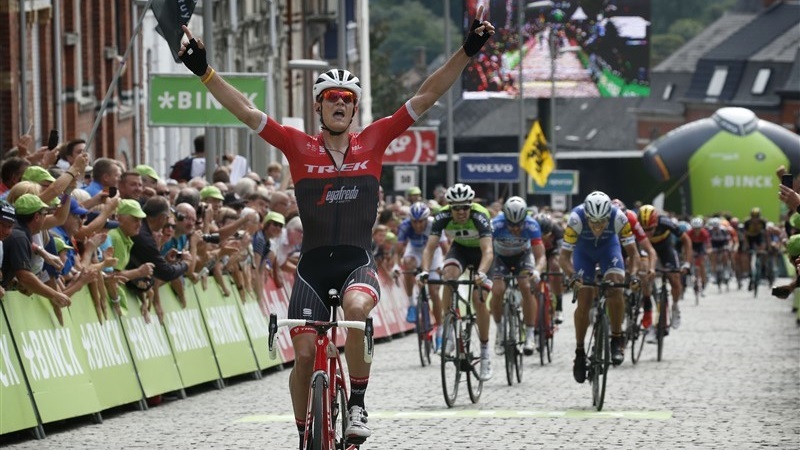 The 25-year old Trek-Segafredo rider escaped in the final kilometres in the stage to Geraardsbergen. Stuyven had been waiting a long time for his third professional win. "I craved this victory," the Belgian said. "This spring I was often close to a win but every time I just missed out. That's why this win is the cherry on top after a strong week. "I wasn't expecting to contend for the win because I didn't feel great on Saturday." During the final stages of the seventh stage, which features the famed Muur van Geraardsbergen, Stuyven decided to attack from the group of favourites with less than four kilometres to go. "I just held on until the finish," he added. "I looked behind a few times but I managed my effort well and fortunately that was enough. I really had to give everything I had on the Vesten to stay ahead. I had a good training camp at high altitude and now I'm reaping the rewards."